how you learned about us, why you like our work, etc. Most of the time we’re quick to respond. Next, we’ll ask you questions about your project and you’ll ask lots of questions about our plan. This helps us both get to know each-other. The Creative: We figure out your story how to convey the value of your message so your audience can feel it—who, what, and why they’ll want you in their lives. Often, we’ll create a treatment that explains the thinking behind our idea, a detailed script, and a plan for what resources we’ll need to achieve it. Production: We often have the crew in-house to execute your idea but if your idea expands beyond our crew we reach out to our vast network of producers, writers, artist, and then we shoot. Post-production: We meticulously shape the work into its final form using every tool at our disposal, sound mixmasters, color grading, to clever file naming. Delivery: Good to go. We can support you with web media strategy and social content. Andrew is a creative director, cinematographer, photographer and problem solver. Born in Minnesota, trained in advertising, experienced in conceptual ideation and commercial content development. Over the last decade, Andrew has photographed the journey to Mt. 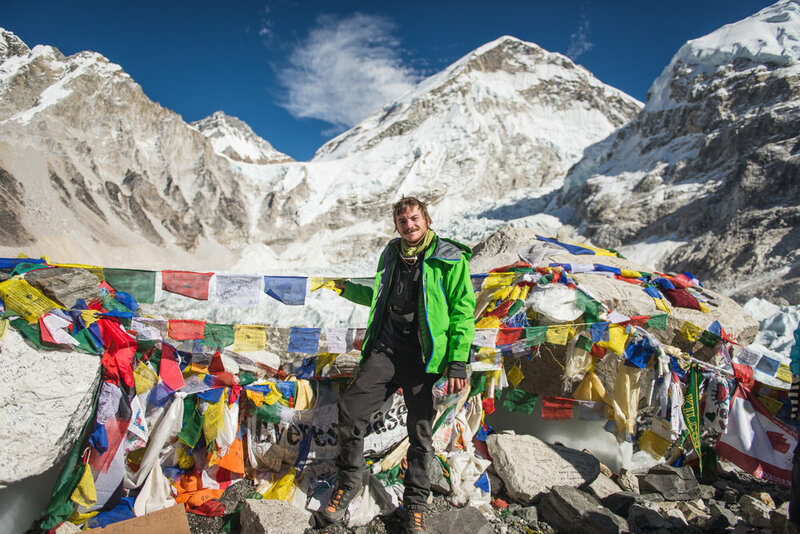 Everest with a cancer foundation, co-managed the photo department of a national award winning magazine and founded a full service production company. He has successfully raised hundreds of thousands of dollars for NGOs, educational programming and small businesses. In addition, his commercial campaign work for such clients as Eddie Bauer, Bote Boards, Bedrock Sandals and other companies is fixed in multi-platform compatibility. Andrew’s experience bringing commercial projects to life has helped him transition his motivation into conservation focused activism.